Ondrej joined Watsi on September 26th, 2017. 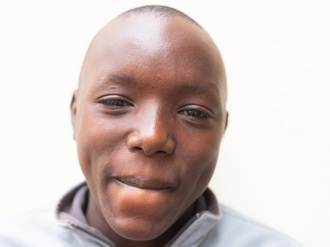 One year ago, Ondrej became the 3147th member to automatically support a new Watsi patient every month. Since then, 1,959 more people have become monthly donors! Ondrej's most recent donation traveled 3,500 miles to support Liz, a toddler from Kenya, to fund brain surgery. Ondrej has funded healthcare for 20 patients in 9 countries. Liz is a toddler from Kenya. She has been diagnosed with hydrocephalus, a condition in which excess cerebrospinal fluid accumulates in the brain and increases intracranial pressure. As a result of her condition, Liz has been experiencing an increasing head circumference. Without treatment, Liz will experience severe physical and developmental delays. Our medical partner, African Mission Healthcare Foundation, is requesting $685 to cover the cost of surgery for Liz that will treat her hydrocephalus. The procedure is scheduled to take place on March 22 and will drain the excess fluid from Liz's brain. This will reduce intracranial pressure and greatly improve her quality of life. With proper treatment, Liz will hopefully develop into a strong, healthy young girl. “I hope my daughter will achieve the normal milestones once she gets treated," says Liz’s mother. Loemheang is a man frrom Cambodia. For over a year, Loemheang has had pain in his hip area, making it difficult for him to walk. He also suffers from pain when he sits for a long time. 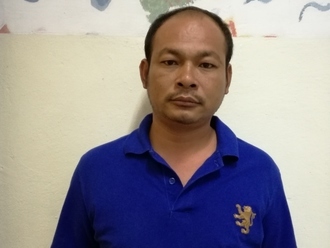 Fortunately, Loemheang is now scheduled to undergo an arthroplasty to treat his osteonecrosis. The procedure is scheduled for February 12 and will cost $497. He hopes that after his surgery, he will be able to continue his work repairing and painting cars. He also looks forward to spending time with his three daughters without pain and discomfort. He says, "I hope that after my surgery I will be able to move without pain and continue my work." 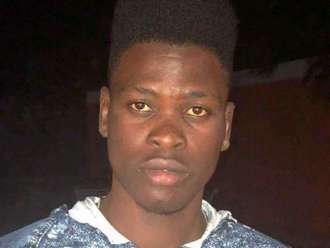 Loyford is a young man from Kenya. He is the oldest child in his family. He sells bananas in the coastal town of Mombasa. His younger brother is a student in university. Recently, Loyford was in a road traffic accident. The impact caused fractures on his spine. Loyford was referred to our medical partner's facility for specialized treatment after CT scan imaging. Loyford needs to undergo a spinal fusion and decompression. Surgery is scheduled for January 18 and will cost $1,500. Loyford says, “My prayer is to be treated and resume my work. I want to provide for my brother and mother." Daniel is a father of six from Malawi. He is a farmer and enjoys listening to the radio in his free time. For about one year, Daniel has been experiencing pain and urinary difficulty. These symptoms are caused by an enlarged prostate, a condition called benign prostatic hyperplasia. He needs to undergo a prostate resection surgery, a procedure in which surgeons will remove part of the enlarged gland. Our medical partner, World Altering Medicine, is requesting $733 to fund Daniel's surgery. On November 6, he will undergo prostate surgery at Nkhoma Hospital, our medical partner's care center. The requested money pays for supplies, medications, and two weeks of hospital stay. Daniel is looking forward to being able to urinate more naturally and live a more normal life. He says, "Thank you so much for this program and I ask that you continue to support others." Trevis is a child living with cerebral palsy from Kenya. He is the youngest in a family of two children. His mother sells small items in order to provide for her two children. Trevis has clubfoot of both feet. Clubfoot is a condition in which the foot is twisted out of shape. This causes difficulty walking and even wearing shoes. Fortunately, Trevis traveled to visit our medical partner's care center, AIC Cure International Hospital. There, surgeons will perform clubfoot repair surgery on September 25. Our medical partner, African Mission Healthcare Foundation, is requesting $1,224 to fund Trevis's clubfoot repair. After treatment, he will be able to stand and walk easily. “My desire is to see my son standing, sitting upright, and walking like other children," Trevis’s mother says. 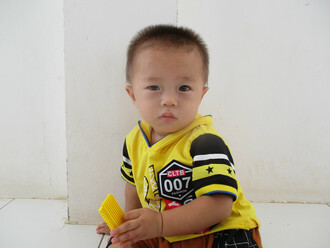 Kar is an eight-month-old baby boy from Burma. He was born three months prematurely in Bangkok, where his parents used to work previously. When he was seven months old, his parents moved back with him to Burma. Kar was recently diagnosed with hydrocephalus, which has caused fluid to build up in his brain. Without immediate surgery to alleviate the intracranial pressure that the excess fluid is causing, he is at risk of developing severe, potentially fatal medical complications. Our medical partner, Burma Children Medical Fund, is requesting $1,500 to fund the insertion of a ventriculoperitoneal shunt for Kar, which will drain the fluid that has accumulated in his brain. The procedure is scheduled to take place on June 22, and, once completed, will greatly improve Kar's quality of life. Judson is a 21-year-old man from Haiti. He lives in Port-au-Prince with his father. He is a university student and is studying informatics. Judson suffers from a condition called severe pulmonary stenosis, in which one of the four valves of his heart is too small. As a result, blood backs up into his heart, leading to heart failure. This will eventually be fatal. Fortunately, Judson will undergo interventional heart catheterization on May 24. During the procedure, doctors will use a catheter tipped with a balloon to stretch Judson's valve open to a more normal size. Our medical partner, Haiti Cardiac Alliance, is asking for $1,500 to cover the costs of Judson's travel expenses, catheterization procedure, and lab work. He says, "I am very grateful to have this chance to live a normal life!" Edoso is a baby from Ethiopia. He is a smiley toddler who loves to play and laugh with his mother. His father passed away a year ago, leaving his mother with six children. Edoso's mother rented out their small farm and is barely able to meet the needs of her family. Edoso was born with an anorectal malformation, a congenital abnormality that leads to a complete or partial intestinal blockage. He needs to undergo a series of procedures to eliminate bowel dysfunction. Edoso is scheduled to undergo surgery to correct his condition on April 10. Our medical partner, African Mission Healthcare Foundation, is requesting $1,500 to cover the total cost of Edoso's procedure and care. After his recovery, Edoso will no longer experience bowel dysfunction or be at risk of developing health complications in the future. Edoso’s mother says, “I was a house wife. When I lost my husband, life got difficult because he was the one who supported the family. Now I am struggling with the financial needs of my family. I am trying to raise my children with the limited money I get from my rented land."